Twenty years ago, when I started writing about restaurants, I would sneak to the toilet with a pad and pen to scrawl notes about the food and mood. Occasionally, thus enthroned, I would sketch a plate so I could recall its composition. Such stealth seems absurd now. I still aim for anonymity but right now I’m writing a review while sitting in the cafe which is its subject. Not only is it now normal to be tapping at a computer, it’s inconspicuous to snap pics of one’s meal, committing to bytes before bites. Cafes and restaurants have changed too. Look at Tennyson: it’s much more than a simple place to fuel. Co-owner Nesbert Kagonda has knitted a cacophony of ideas into a site of inspiration and meaning. Born in Zimbabwe, African flavours – and positive African-Australian stories – are an important thread. Just as relevant is Kagonda’s degree in psychology: Tennyson is deliberately overstaffed so there’s time to talk, to swing someone’s day from “blah” to “yee-hah”. Oh, look, my breakfast has arrived. 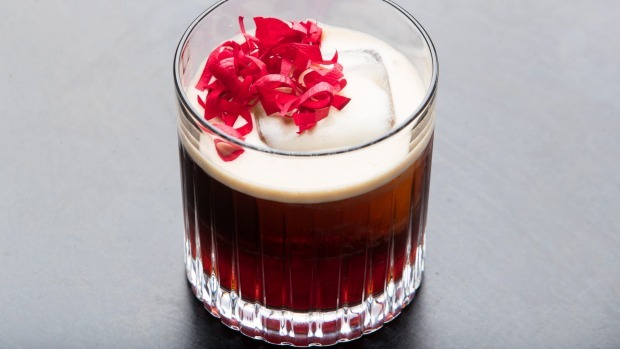 Single-origin coffee has been cold-brewed for 24 hours, gently strained, infused with nitrogen and flavoured with rosewater. It’s black but nitrogen makes the coffee creamy and mellow and the rosewater adds a subtle floral swirl. Peak geek, you might think, but it tastes great and is presented with winning enthusiasm. The style was inspired by Graph, a coffee business in Chiang Mai, that now collaborates with Team Tennyson, even exchanging baristas. The chilli egg reinforces the international outlook. 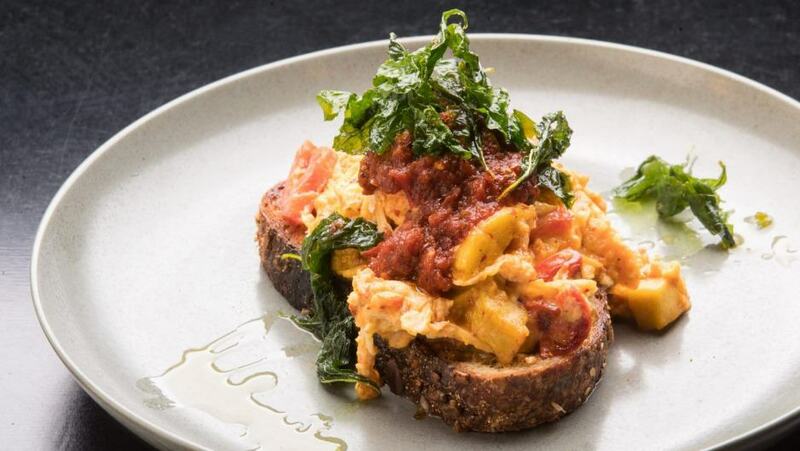 African ideas have been filtered by Yemeni-Japanese chef Lubna Bahashwan to create an egg folded with plantain, topped with crisp amaranth leaf and jazzed up with Ghanaian-style hot pepper sauce. The sauce would traditionally have dried shrimp but Bahashwan brings analogous umami with kombu seaweed. 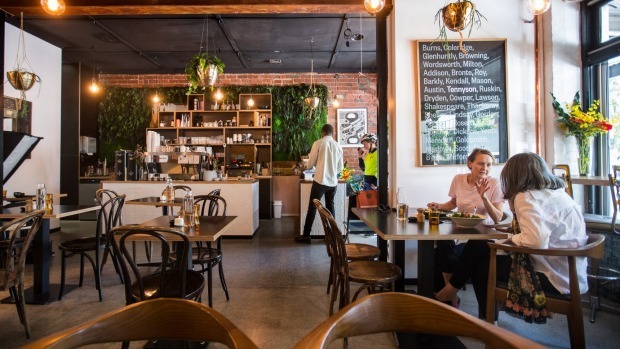 Cafes across Melbourne do chilli eggs; no-one does it like this. Indigenous ingredients are interwoven. 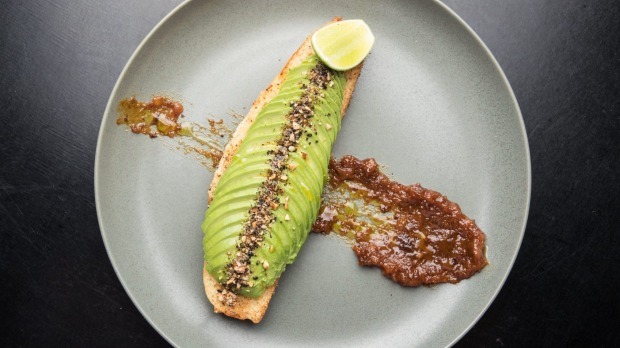 There’s wattleseed dukkah on the avocado with “mealie” cornbread, and the lavish pancake brunch has a crumble with Australian lemon myrtle and cinnamon myrtle tumbled with peanuts, an African staple. I love the idea; happily, the flavours work too. Tennyson’s influences are myriad, its expression of them optimistic and joyful. In that, it’s as marvellously Melbourne as it gets. As for me, I’m happy to be singing its praises from the window bench rather than the bathroom. First published in Good Food, 11th December 2018.